Fou Furnishings specialises in Organic Cotton bed and bath linens, supplying luxury hotels, spas and yachts with high quality bed sheets and towels. 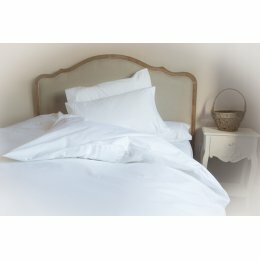 All Fou Furnishings bed linen is made from organic cotton that has been grown without the use of synthetic fertilisers or pesticides. Fou Furnishings is one of only a few UK linen companies to be certified by the Global Organic Textile Standard (GOTS), a standard created by the Soil Association. When you buy from Fou Furnishings, you know you are getting high quality, Fairtrade bed and bath linens for a comfortable, luxurious lifestyle.